A fast and easy way to give that special nuance curry adds to your recipes. Great as a side dish or the base for your favorite curry dish! 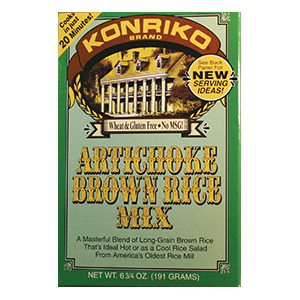 We have gone back to the original recipe using unprocessed natural long grain white rice. Cooking Directions: Using 2 cups water, 1 1/2 tsp salt, 2 tbsp butter; Cook 25 minutes until all water is absorbed and rice is fluffy and tender.